to be a partnership of parents, students, staff, and supporters committed to the total formation of every child entrusted to our care. We strive to help children be all that God intends for them to be through a whole-person formation that values the uniqueness of each individual child. We are dedicated to providing children with the tools to achieve academic excellence and strong character within the safety of a caring and diverse Catholic community inspired by the life of St. Francis of Assisi and supported by the Catholic parishes of St. Mark the Evangelist, St. Camillus, Our Lady of Vietnam, and St. Catherine Laboure. We recognize and use our God-given gifts to demonstrate commitment to passing on both wisdom and faith while equipping our students to be active citizens of the 21st century. 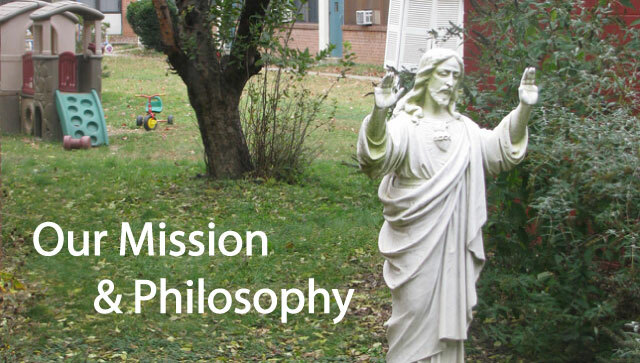 We believe that Catholic schools must offer experiences within an educational environment that enable students to proclaim and celebrate the Good News of Jesus Christ; to build a community of faith; and to reach out in a spirit of service to others, with a feeling of fellowship and openness for the sake of peace and justice. We believe that Saint Francis International School prepares its students to understand the message of Jesus Christ, to follow moral standards of conduct, and to achieve integrity of character. Parents and teachers are partners in the challenge of communicating the Word of God to the students and for modeling the primacy of worship, membership in the faith community, and service to all. We believe that Catholic schools must address the spiritual, intellectual, social, and physical needs of students. We believe that Saint Francis International School fosters each child’s understanding of basic Christian values associated with honesty, social responsibility, and tolerance. The academic program acknowledges the intellectual development of students as they learn fundamental skills and develop high-level comprehension and then apply these skills through problem solving activities that inspire self-expression and personal responsibility. Their social development is carefully monitored within an environment which requires a strong authoritative presence, yet one which also affirms the uniqueness of each child. Saint Francis International School also strives to maintain a physical environment which is safe and serves to address various learning styles through such activities as art, music, and physical education. We believe that Catholic schools must develop and maintain positive relationships among students, teachers, and parents. The position of teacher in a catholic school demands constant efforts to interact positively with students, parents, and colleagues. Recognizing that parents are the primary educators of the child, teachers seek parental cooperation and support. Students are expected to respect the authority of the school and be accountable for their actions, yet must also be given respect through methods of positive discipline and shared responsibility for school-wide success.